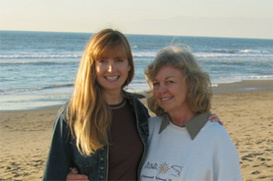 The Sacred Palm Healing Center offers a variety of long distance and in-person alternative healing therapies, including Reiki and the transformational energy techniques offered in Quantum Energetic Disciplines™. The techniques that we use at The Sacred Palm Healing Center fall within the field of Energy Medicine, as classified by the Complementary and Alternative Medicine Institute, a division of the National Institute of Health. and that is the living, breathing Force that gives us life. Different cultures have different names (i.e. chi, ki, prana, spirit) for the life sustaining energy within each of us, as well as for the Source from which it flows. The techniques offered at The Sacred Palm Healing Center are universal, whatever your religious, spiritual or cultural background may be. You do not have to subscribe to a specific belief system to participate or to experience the benefits of a particular technique. No topic is too big or too small to bring to a session. After a session, common results include feelings of greater physical comfort, peace and clarity. People who experience the energy work often report feeling happier, healthier, more balanced, more joyful and more fully alive! "In just minutes, what once felt debilitating was lifted. I am deeply and profoundly grateful." Click here to read what some of our clients have said.